I. COMMENCEMENT OF THE MISSION TO THE ESTORIANS (EMBARKATION,LAND JOURNEY...). II. STATE AND FIELD, AND EARLY LABORS (DEAD CHRISTIANITY, DEGRADED MORALS.....). III.PROVIDENTIAL INTERPOSITIONS (VISIT FROM A PRINCE, THE AFFSCHARS,THE LOOTEE...). IV. PROGRESS IN THE MISSIONARY WORK (INTRODUCTION OF THE PRESS, NESTORIAN SCHOOLS.....). V. THE COUNTRY AND THE PEOPLE (THEIR NATURAL TRAITS,MORAL CONDITION, THE KOORDS,...). VI. MISSIONARY RESULTS (REVIVAL, THE MOUNTAINS OF KURDISTAN....). 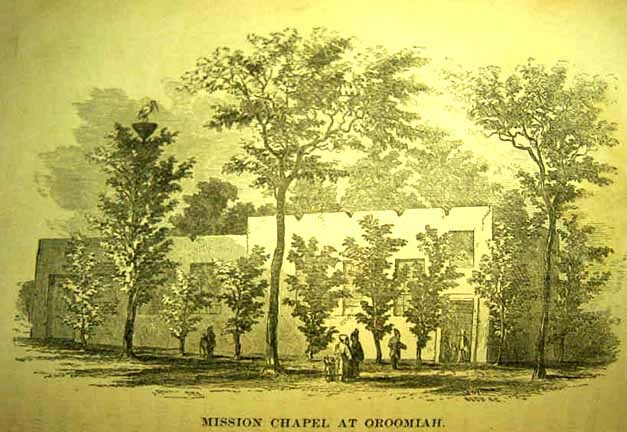 VII.THE REVIVAL OF 1849MELE AGA BEG, A DAY OF FASTING AND PRAYER....). VIII. RELIGIOUS INTEREST AMONG THE MOHAMMEDANS (OROOMIAH THE HOME OF ZOROASTER, THE PERSIAN SCRIPTURES...). IX. OBSTACLES REMOVED AND OPPOSITION OVERRULED (CIVIL OPPRESSION,RUSSIAN INFLUENCE,ENGLISH PROTECTION....).